i Click 'view all' to instantly compare this fantastic deal with offers on other top hot plate food warmers. 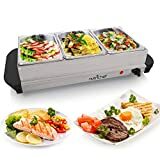 NutriChef Portable Electric Hot Plate Stainless Steel Warming Tray Dish is currently selling at $90.25, approximately $2.86 lower than average, giving a potential saving of $3.76 right now. With a lowest price of $90.00 and an average of $93.11 it is selling on the low end of its usual range. Price volatility is 34.92% (meaning it changes all the time), so the price will almost certainly go up soon. Right now this product is a recommended 'fantastic deal'. The price has also dropped by $1.85 (2.01%) in the last hour. 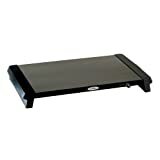 Compare the current price, savings (in dollars & percent) and Buy Ratings for the top Hot Plate Food Warmers that are closely related to NutriChef Portable Electric Hot Plate Stainless Steel Warming Tray Dish. 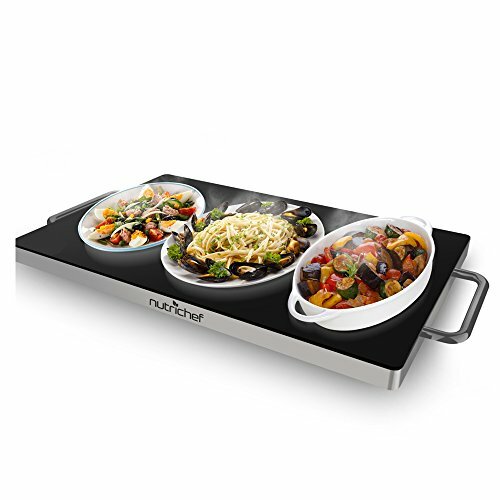 Here is how NutriChef Portable Electric Hot Plate Stainless Steel Warming Tray Dish compares with other leading Hot Plate Food Warmers.